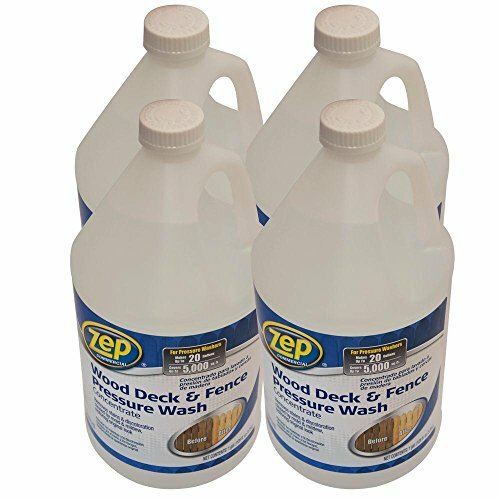 Clean, brighten and rejuvenate your deck or fence with the ZEP Commercial 128 oz. Deck and Fence Cleaner. The concentrated formula helps remove dirt and stains from wood surfaces when used in conjunction with pressure-washing equipment. This cleaner will also remove dirt and stains caused by algae, mold, mildew, and other sources of soil.